Joshua Gray is an associate in Nutter’s Corporate and Transactions Department. Clients rely on Josh’s counsel on mergers and acquisitions, private capital finance, technology licensing, intellectual property, employment, equity compensation, corporate governance, and regulatory reporting matters. Clients in a broad range of industries, including consumer goods, software, hardware, biotechnology, pharmaceuticals, medical devices, diagnostics, industrial, and food and beverage, turn to Josh for guidance on a wide variety of transactions. Representation of Shawmut Corporation in its joint venture with the automotive headliner and specialty industrial fabrics business of Glen Raven Technical Fabrics LLC. As a member of Nutter’s Emerging Companies Practice Group, Josh assists early stage clients in formulating strategies to realize their business goals and in building the foundation necessary to secure third party investment. Josh has represented issuers and investors in angel, venture capital and growth capital financings representing an aggregate of over $500 million in investments in emerging growth companies. Josh has also represented emerging growth companies and underwriters in initial public offerings raising an aggregate of over $250 million. 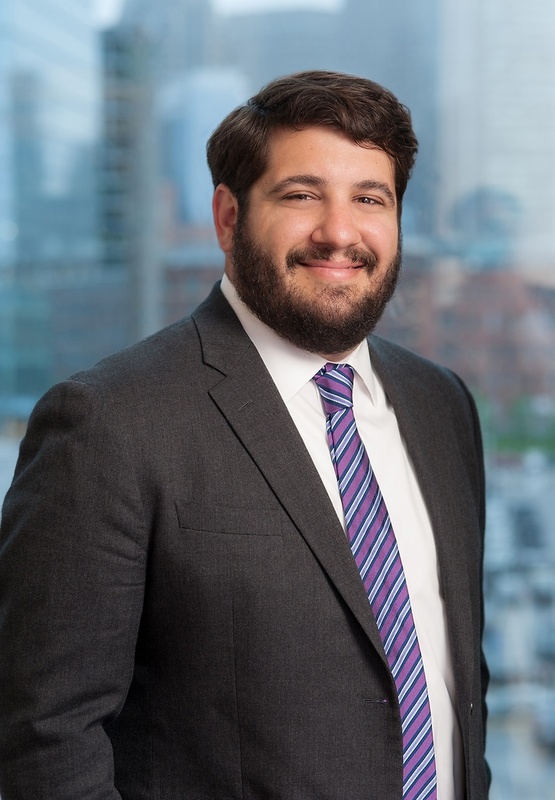 Josh continues his professional involvement outside the firm as a member of the Association for Corporate Growth and the Boston Bar Association. Nutter represented WegoWise, Inc., a provider of cloud-based software solutions to owners and managers of buildings to help understand, track, and improve building utility efficiency, in the sale of substantially all of its assets to AppFolio, Inc. (NASDAQ: APPF), a leading provider of cloud-based business software solutions in the real estate and legal markets. Nutter represented Kombrewcha (the first alcoholic Kombucha) in its sale to a strategic acquirer. Nutter advised Deep River Snacks, makers of premium better-for-you snacks based in Connecticut, in its sale to Arca Continental, the second-largest Coca-Cola bottler in Latin America and parent company of Wise Snacks, Bokados, and Inalecsa. Nutter had been long time general counsel to Deep River Snacks, and had advised the company in its ongoing commercial dealings, intellectual property matters, and its venture capital transactions. Nutter advised Lallemand USA, Inc., a U.S. subsidiary of the global yeast manufacturing company, in its asset acquisition of a yeast manufacturing plant and business based in North Dakota. Nutter advised Northeast Retirement Services, Inc., a leading provider of plan accounting, transfer agency, fund administration, trust and retirement plan services, in its acquisition by Community Bank System, Inc. (NYSE: CBU), a transaction valued at approximately $146 million. Nutter represented Harvey Building Products in its sale to Dunes Point Capital after a full auction process. Nutter represented Netra, Inc., a leader in Visual Intelligence and Search, when it closed $1.85 million in Series Seed financing led by Launchpad Venture Group and NXT Ventures with participation from Zelkova Ventures, Mark Cuban, Berwind LLC, and other prominent angels. Nutter Advises WegoWise, Inc. in Sale to AppFolio, Inc. Prior to joining Nutter, Josh worked as an associate at an international law firm in Boston. His professional experience also includes serving as a program manager for the New England Clean Energy Council, where he focused on the expansion of cleantech-led economic development initiatives, including fundraising and program design for the creation of a regional clean technology innovation network. During law school, he was a senior staff editor for the New York University Environmental Law Journal.